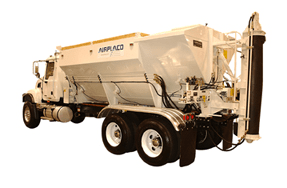 Wet mix (typically called shotcrete) is delivered by traditional rotating drum concrete trucks and shot in place by a $5000 portable pump. Most local higher end pool builders stopped using wet mix years ago because of increased cracking. Since it goes on wet, there is much more likelihood of shrinkage. ASTM C94, "Specification for Ready-Mixed Concrete," states time limits for the discharge of concrete. It states that discharge of the concrete shall be completed within 1-1/2 hours of when water was added (which happens at the concrete plant.) With an average 30 minute travel time to the job site, this only gives the builder 60 minutes to fully shoot an entire truck of concrete. That is virtually impossible. Wet mix shotcrete cannot be used on a pool and adhere to the ASTM standard. This can also contribute to the extra cracking. 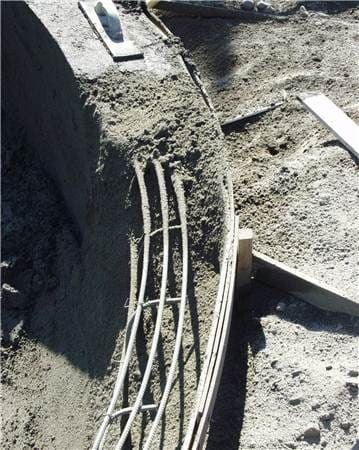 Wet mix shotcrete pools can end up with "cold joints" because of delays between concrete truck arrival times. 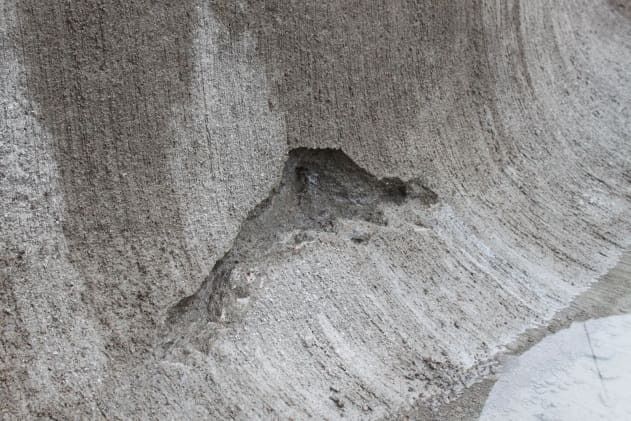 The American Society of Concrete Contractors states that a waiver should be signed by the customer understanding that the discharge will be over 90 minutes and does NOT adhere to ASTM standards. Dry mix shotcrete (typically called Gunite)is shot by a $200,000+ pump truck. To shoot gunite, it takes a sizeable investment as opposed to just a little pump. Because it is shot dry with water mixed in at the nozzle, you can get a much much stronger shell with more cement. The gunite process isn't prone to shrinkage cracks like wet mix. The gunite process doesn't have to be shot within 1 hour. The gunite process doesn't get cold joints and potential crack spots. The gunite process can net a psi up to 20% higher than wet mix! Gunite is used on the space shuttle launch pad. When NASA used shotcrete, it melted and disintegrated (they've done it). 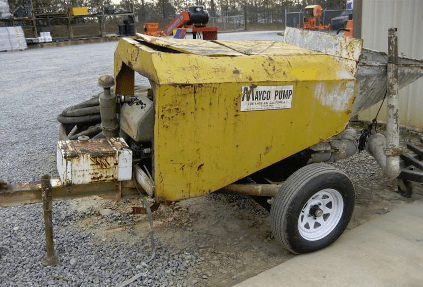 Any "worker with a $5,000 pump" can do shotcrete, but to do gunite, there is extensive equipment and expense. Big companies use gunite because of all the advantages and performance . Smaller companies (that try to be "jacks of all trades") typically use wet mix to save money. Gunite Pool Shell and Why NOT to Use "Rebound"
Rebound is the material that ricochets off the application surface during the gunite operation. Rebound is typically made up of the larger and harder particles (which tend to ricochet) and does not contain adequate cement, water or density to develop significant strength. Rebound, therefore, should not be used in any application where strength, hardness or durability is needed (such as the pool bond beam). Unfortunately, it is common practice by many pool builders to use this rebound in critical areas of the pool. Watch any other pool builder shooting a gunite shell and you will undoubtedly see them burying the rebound in the pool shell or bond beam. Monogram NEVER USES REBOUND WASTE IN OUR POOL WALLS, BOND BEAMS OR FLOORS. The picture on the left shows the dry, loose rebound being used in the bond beam of a pool. The picture on the right shows what happens when the rebound falls out and a hole forms in the pool. You will never see this happen on a Monogram pool because of our strict, supervised gunite installation method.